CAPE CANAVERAL, Fla. (AP) — Space station astronauts have received a special delivery from a Japanese capsule named White Stork. 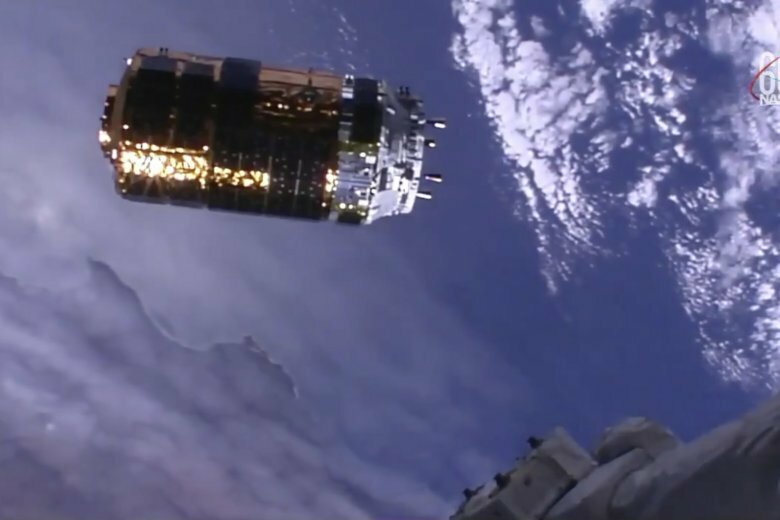 The cargo ship known as Kounotori in Japanese arrived at the International Space Station on Thursday, five days after liftoff. It’s the seventh Japanese shipment and the first in two years. Commander Andrew Feustel (FOY-stull) used a robot arm to capture the White Stork. It holds more than 5 tons of supplies, including new batteries for the station’s solar power grid. Spacewalking astronauts will help install the batteries in October, later than planned due to launch delays caused by bad weather and rocket issues. Feustel and fellow NASA astronaut Ricky Arnold return to Earth next week, along with Russian Oleg Artemyev. That will leave an American, Russian and German on board until another crew launches.